Factur-X is a Franco-German standard for hybrid e-invoice (PDF for users and XML data for process automation), the first implementation of the European Semantic Standard EN 16931 published by the European Commission on October 16th 2017. Factur-X is the same standard than ZUGFeRD 2.0. Factur-X is at the same time a full readable invoice in a PDF A/3 format, containing all information useful for its treatment, especially in case of discrepancy or absence of automatic matching with orders and / or receptions, and a set of invoice data presented in an XML structured file conformant to EN16931 (syntax CII D16B), complete or not, allowing invoice process automation. 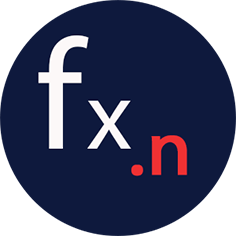 The first objective of Factur-X is to enable suppliers, invoice issuers, to create added-value e-invoices, containing a maximum of information in structured form, according to their ability to produce them in this form, and to let customers recipients free to use the invoice data and / or the readable presentation, depending on their needs and their invoice process maturity on automation. MINIMUM : corresponding to the minimum invoice information required on CHORUSPRO and equivalent to a classic header OCR and manual validation data capture. EXTENDED : corresponding to the EN16931 profile, with some additional invoice data. This profile is under construction, and will be published later. AIFE (French Agency for State Financial Informatics), who is in charge of CHORUSPRO has integrated Factur-X as an available hybrid format in CHORUSPRO, since May 2018.
an excel representation of the XML syntax UNCEFACT CII D16B for the implementation of the different profiles of set of invoice data, with a template for a readable presentation of all the information present in the Norm, as well as the main business rules, and the code lists. 3 XSD schemes: Basic WL & Minimum profile, Basic & EN 16931 profiles, as well as the complete XSD of SCRDM D16B XML CII which allows the widest acceptance (recommended for reception). examples of invoices in Factur-x format, in all profiles and for different situations. logo tablets(per profile), which can be added in the PDF readable presentation in order to signify to the recipient that it is a Factur-X invoice.